Nurturing respect for cultural traditions is a daunting challenge these days, when kids are glued to cellphones and game apps. So what does a country with centuries of carefully polished artistry do to preserve its heritage? Drop a curtain on the whole show? Not in Tokyo. For the past decade, the Tokyo Metropolitan Government and Arts Council Tokyo have teamed up with the Geidankyo (Japan Council of Performers Rights & Performing Arts Organizations) to offer children classes with some of the city’s finest professional musicians and performers. The resulting program, Traditional Performing Arts for Kids, has offered more than 3,000 children the chance to join the rarified world of Japanese performing arts. Each student receives approximately six months of training in their chosen art, without the onus of having to purchase expensive instruments or costumes. Their study culminates in a live performance, which lends classes a concrete goal and rewards students with the chills (thrills?) and challenges of being on stage. The overall aim is to foster understanding of traditional performing arts from an insider’s perspective and create a gateway to a lifetime of appreciation. I’m invited to visit two classes arranged through the Traditional Performing Arts for Kids. The first is a shamisen lesson, held for first- and second-year elementary students at the prestigious Kineie school, located between Ebisu and Daikanyama stations. The students bow before entering the classroom, then take seats on zabuton cushions, spreading out colored cloths on their laps on which to rest the shamisen’s sound box. The more serious students begin practicing immediately, while the others (mostly the boys) squirm and wriggle with glee at having me as an unexpected guest. 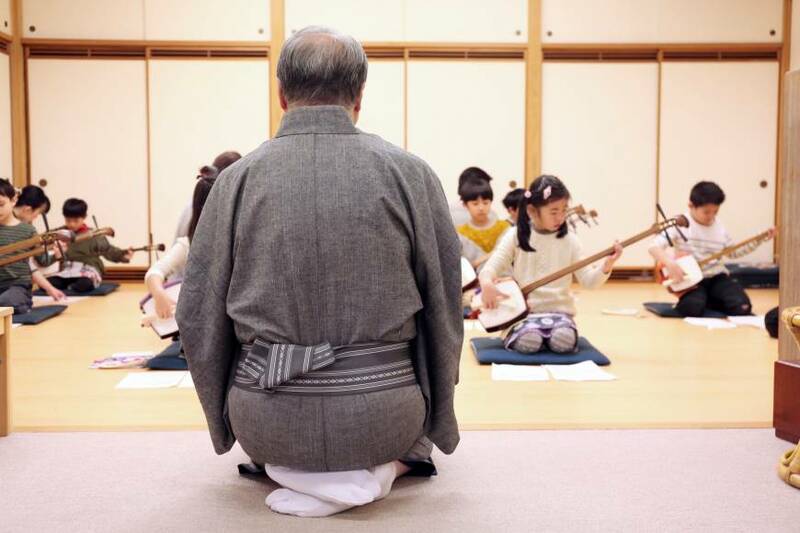 Traditionally, shamisen classes are taught one-on-one, with students “stealing” their master’s know-how. But Kineie’s grandmother, Kineie Yashichi IV (1890-1942), invented the first bunka-fu, or musical notation for shamisen pieces. This made teaching larger classes possible and pieces easier for students to memorize. Concentration grips the room as Kineie’s students work toward a fairly unified tempo, with only a few hitches in the melody. Finally, a rest period comes along, freeing the kids from sitting seiza (kneeling with their feet flat behind them). They sigh melodramatically and stretch their legs, but pop right back up when class resumes. Next, I head across town to the Shinjuku Bunka Center, where I find a classroom filled with koto, the national instrument of Japan. 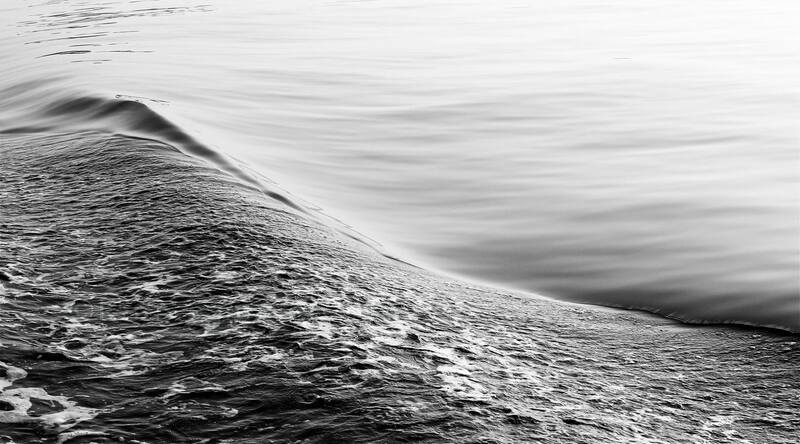 At about 2 meters long — the size of a small boat — it is impressive to see an entire flotilla of them in one room. Third- and fourth-year elementary school students arrive, offer their teachers precise formal bows, and squeeze into the small spaces left between the staggered instruments. Sliding doors to the tatami room are wide open to let in fresh air, spring sunlight and bird song. Students unleash gentle riffs of sounds from their strings, but when the three kimono-clad teachers — one at the front and two roaming — signal that the lesson is to begin, even the birds outside seem to hush. This is a serious bunch of students, I note, more mature in their sense of mission than the younger shamisen students. No one yawns or asks to use the restroom here. Donning tsume (plectra) on their right thumbs and first two fingers, they bend their entire bodies over their instruments’ 13 strings. They must sing as they play, which seems especially demanding as even the vocal part has complicated dynamics. When strings need to be pressed down for note modulation, the fingers of some students appear barely up to the task. Yet, strong music swells the room. One or two children are discernibly more accomplished than others, but the teacher reminds them — without mentioning names — that a harmonious whole is more important than outshining one’s fellow students. I note the seamless melding of social and cultural lessons. Many of the Traditional Performing Arts for Kids classes are popular enough that students must be selected by lottery. One of the students, the well-spoken and engaging Kotoha Yamada (10), says when she begged her mother to enter the lottery for classes (they had to try twice), there was an element of revenge to it. “I was having a portrait photo taken in front of a koto once,” Kotoha recounts, “and I was told not to touch it.” These classes, it turns out, not only satisfy the natural urge children have to touch instruments and perform, but also inspire some, like Kotoha, to study their cultural heritage further. For results like this, the Traditional Performing Arts for Kids surely deserves a standing ovation. For those interested in classes (Japanese ability required) contact Traditional Performing Arts for Kids via www.geidankyo.or.jp/kids-dento. For information on upcoming March performances, contact wageiko@geidankyo.or.jp.